Let’s consider each in turn. I also hear this a lot; neither do I. My goal is to write every day and I don’t always achieve that goal, so I forgive myself when I don’t. But I do start the day out assuming I will write something, even if it’s only a sentence. With two young children (6 & 8), working a more than full-time job at Microsoft, commuting 4-5 hours a day, and living in a house on an acre of land, I don’t have much free time. Amongst parenting and all the myriad time commitments that requires, work, household maintenance, and a mentally exhausting commute, I still make time to write. I write because I make it a priority and use personal time to write. My aquariums aren’t nearly as clean as they used to be, the lawn and bushes are more overgrown than I would like, and watching a movie or TV show feels decadent and almost makes me feel guilty. Having read about other writers and what they do, the common thread is that you just have to write. Like exercise and eating right, you have to make it a priority and then do it, or it won’t happen. I use software, hardware, and internet services that enable me to write anywhere. I write on the bus, the ferry, at stop lights, at the hair salon, at a desk, standing in line, at the doctor’s office, on the beach, in bed, the toilet…you get the idea. This is possible using text editor software on my computers, tablet, and phone and backed by a file synchronization service. The key here is file synchronization. I always have my writing projects with me, and this removes a huge barrier to writing anywhere, anytime. 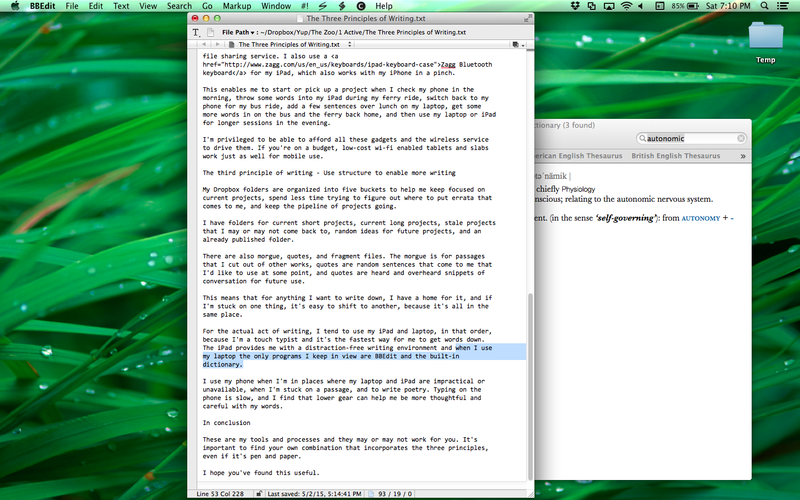 I am also zealous about using a text editor instead of word processor. 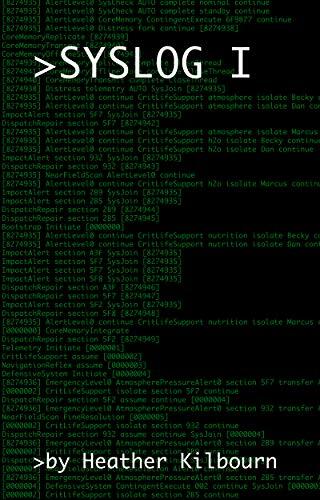 The main reason is the .txt file format is completely portable across software, devices, and time. I have .txt files from the early 1990’s I can still open but Word documents I can’t. The secondary reason is that text editing software tends to have less distractions in the composition area and less cluttered visual interfaces, which means I can focus more on my writing instead of the program. I use BBEdit on my Macs and WriteRoom (no longer available but there are many other alternatives available) on iOS, with Dropbox. The general idea will work with and across any platforms in conjunction with any file sharing service. I also use a Zagg Bluetooth keyboard for my iPad, which also works with my iPhone in a pinch. This enables me to start or pick up a project when I check my phone in the morning, throw some words into my iPad during my ferry ride, switch back to my phone for my bus ride, add a few sentences over lunch on my laptop, get some more words in on the bus and the ferry back home, and then use my laptop or iPad for longer sessions in the evening. I’m privileged to be able to afford all these gadgets and the wireless service to drive them. If you’re on a budget, low-cost wi-fi enabled tablets and slabs work just as well for mobile use. 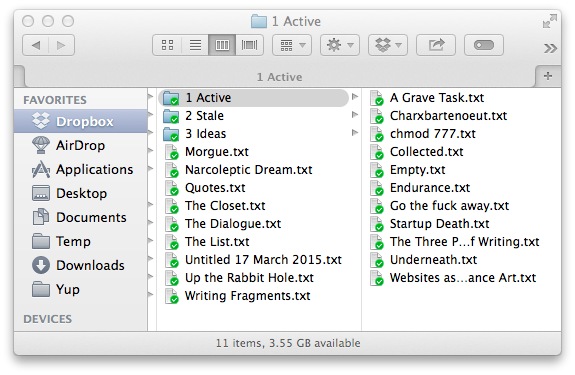 My Dropbox folders are organized into five buckets to help me keep focused on current projects, spend less time trying to figure out where to put errata that comes to me, and keep the pipeline of projects going. I have folders for current short projects, current long projects, stale projects that I may or may not come back to, random ideas for future projects, and an already published folder. There are also morgue, quotes, and fragment files. The morgue is for passages that I cut out of other works, quotes are random sentences that come to me that I’d like to use at some point, and quotes are heard and overheard snippets of conversation for future use. This means that for anything I want to write down, I have a home for it, and if I’m stuck on one thing, it’s easy to shift to another, because it’s all in the same place. For the actual act of writing, I tend to use my iPad and laptop, in that order, because I’m a touch typist and it’s the fastest way for me to get words down. The iPad provides me with a distraction-free writing environment and when I use my laptop the only programs I keep in view are BBEdit and the built-in dictionary. I use my phone when I’m in places where my laptop and iPad are impractical or unavailable, when I’m stuck on a passage, and to write poetry. 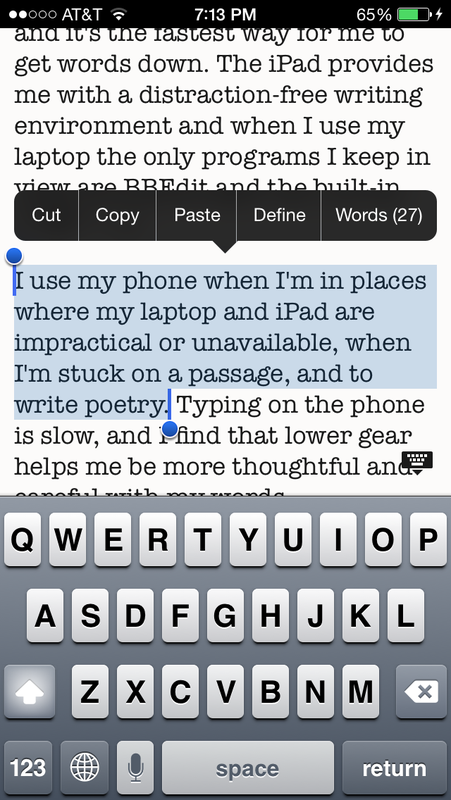 Typing on the phone is slow, and I find that lower gear helps me be more thoughtful and careful with my words. These are my tools and processes and they may or may not work for you. Find your own combination that incorporates the three principles, and I hope you’ve found this useful. 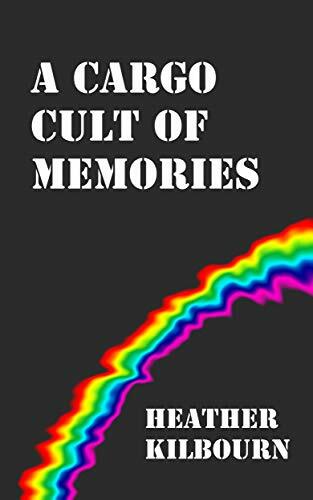 If you’ve found this helpful and want to put some money in the tip jar, please consider buying a copy of my short story collection, A Cargo Cult of Memories, or my experimental sci-fi/cyberpunk short story, SYSLOG I. 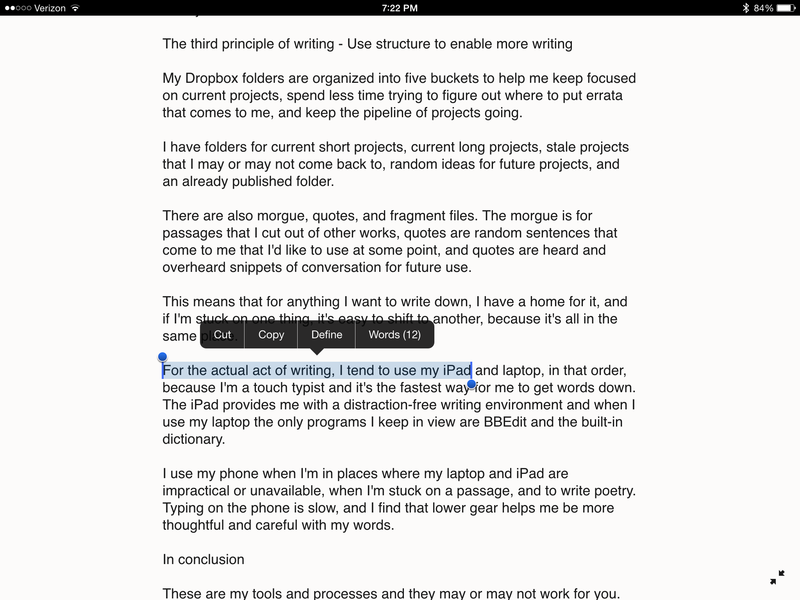 This entry was posted in Writing and tagged writing, writing tools. Bookmark the permalink.